I GUESS THERE IS NOTHING TO SAY RIGHT? 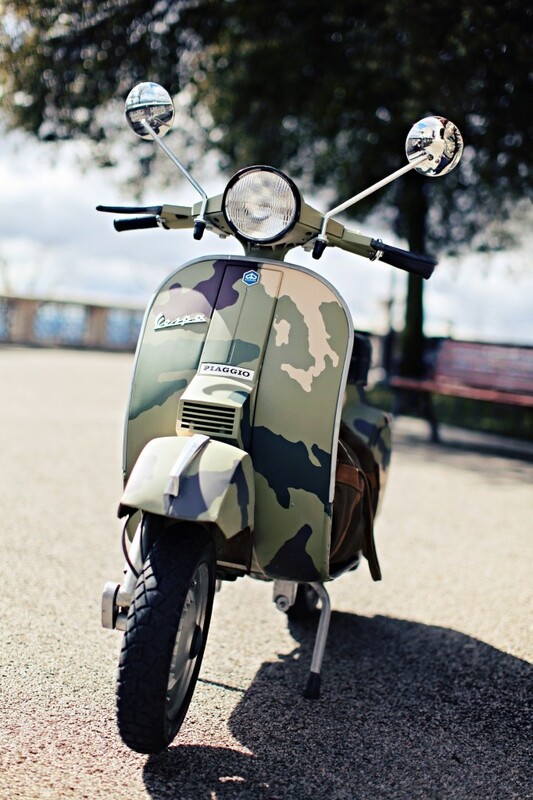 hahaah I mean, not because it’s mine, but guys I love this Vespa! This is how you can be “special, classy, vintage”, but modern at the same time! Green Adidas I’ve bought in barcelona, Scotch & Soda bag, E. Zegna suit, Casio watch, H&M tshirt. This “Camouflage Vespa” is my son, I’ve made it all with my hands, spot by spot and I’m so proud of it! I mean seriously i painted it! Wish you a good week, talk to you tomorrow! 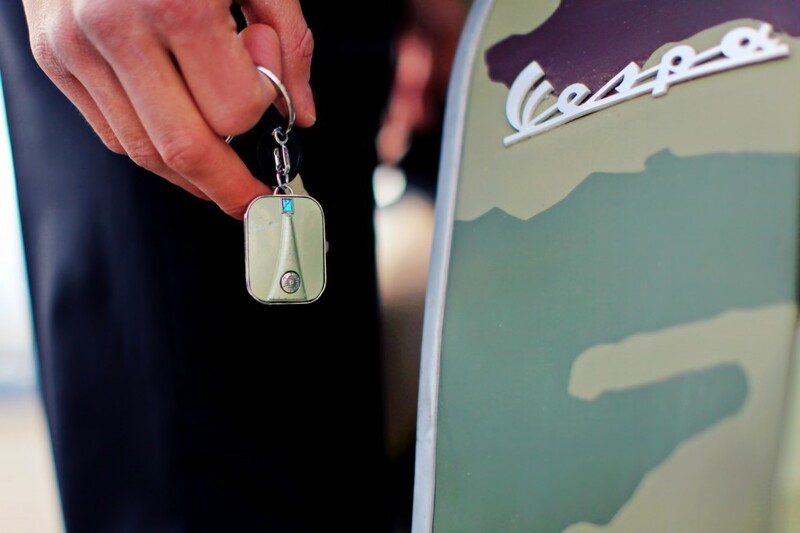 Penso che i capi che indosso passino in secondo piano, abbagliati dallo splendore di questa vespa! Sappiate che l’ho fatta io con le mie manine! Macchia dopo macchia, con tanta pazienza! 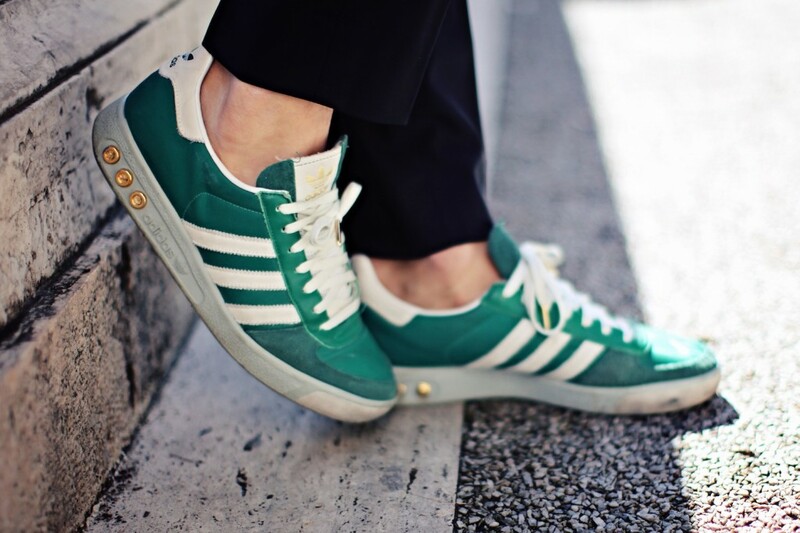 Adidas: Reviewed Adida Gazzella – E. Zegna suit. 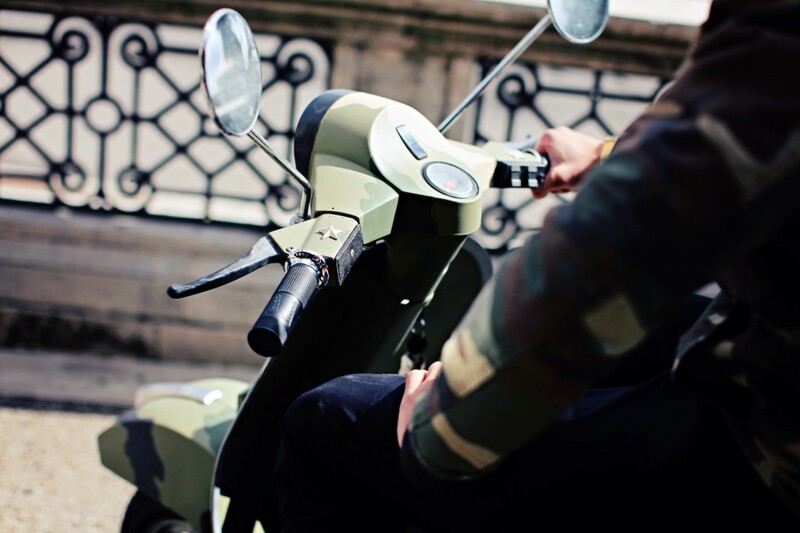 – H&M Tees – Gold Casio watch – Piaggio Vespa ! love this very much shoes are perfect!! Your “son” is awesome. Great job painting it! The look is great and I especially like the t-shirt because it reminds me of the “Day of the Dead” skulls from Mexico. 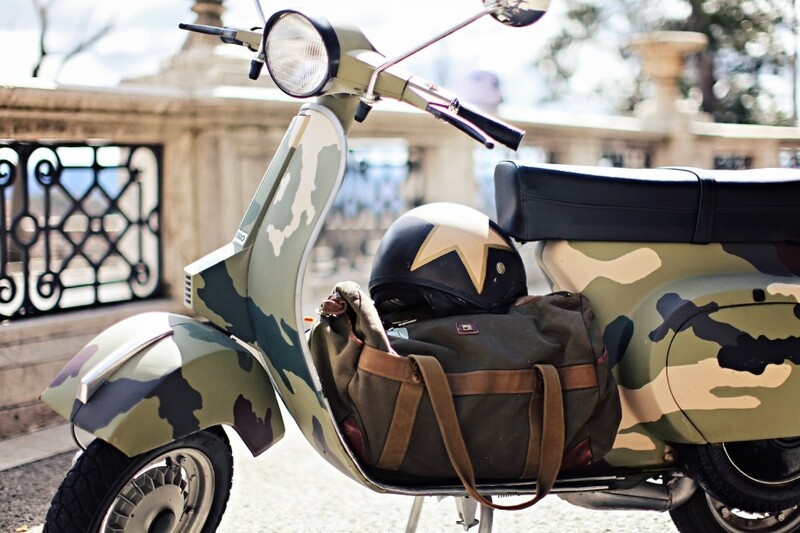 God, that Vespa is amazing! I love scooters so much and that one is quiet a gem you have for yourself. Be safe on it! Ma hai attaccato le macchie sul fondo verde oppure è un’ unica pellicola? Se è così, puoi mandarmi il disegno visto che l hai fatto tu? Your method of describing all in this paragraph is truly nice, all be able to simply understand it, Thanks a lot. Mariano I don’t know why my comments are not published 3 times in a row on this theme because the only thing I want from You is to send me pictures of Your Vespa from 4 angles (front, back, left, right). If I’m asking too much don’t publishe even this comment.